We've hit that point in the year where Google's apps tend to feature smaller improvements and knock off some of the smaller to-do items. 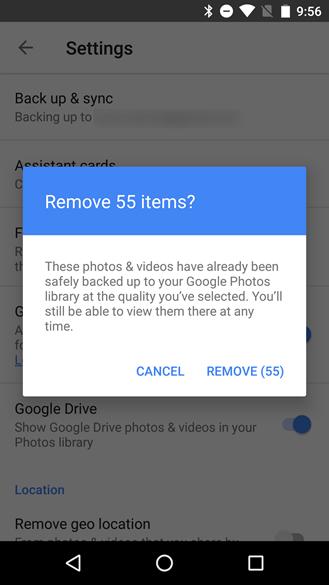 Yesterday's Google Photos update is no different. The latest version gives users the ability to ban individuals from shared albums and puts a link to the local image removal tool right in the navigation drawer. A teardown also shows we can look forward to a simple video stabilization feature and possible more video editing capabilities in the future. Once album sharing was added to Google Photos, it was inevitable that there would be troublesome users and even instances of vandalism. Album owners now have at least one tool for removing users that aren't playing nicely – they can now block users that have joined the album. 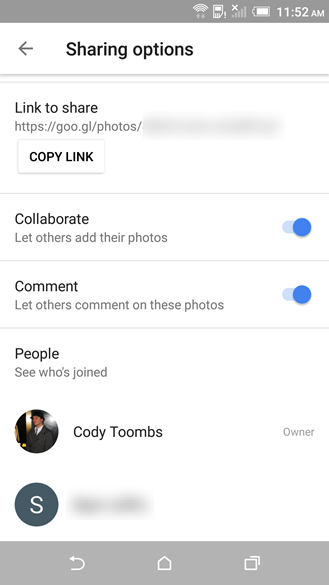 To remove the unwanted party, open an album somebody has joined and either tap on their profile picture below the album title or pick Sharing Options from the overflow menu. Now scroll to the bottom and find the newly added overflow menu next to the offending person's name and tap the command to block them. Google Photos is all about making cloud storage for photos and videos convenient. Late last year, the app gained a handy little feature that could be used to wipe out locally stored files after they had been successfully backed up to Google's servers. Perhaps users weren't finding it in the Settings screen because there's now an entry in the navigation drawer that launches it directly. Aside from its new, more accessible placement, there's no change to the capabilities. Maybe it will be used more often now that nobody will have to go looking for it. If you're hand-holding your phone while taking videos, you're going to get at least a little bit of camera shake. It's basically unavoidable. Some phones have built-in optical image stabilization (OIS), but that can only do so much to smooth things out. Some camera apps and image editors also offer another technique usually called electronic (or digital) image stabilization (EIS). This method involves cropping a few pixels away from the edges of the video and creating a slight panning effect to smooth out rapid jerks in the image. The results aren't perfect, but they're better than watching something that looks like a cutting room floor reject from the Blair Witch Project. 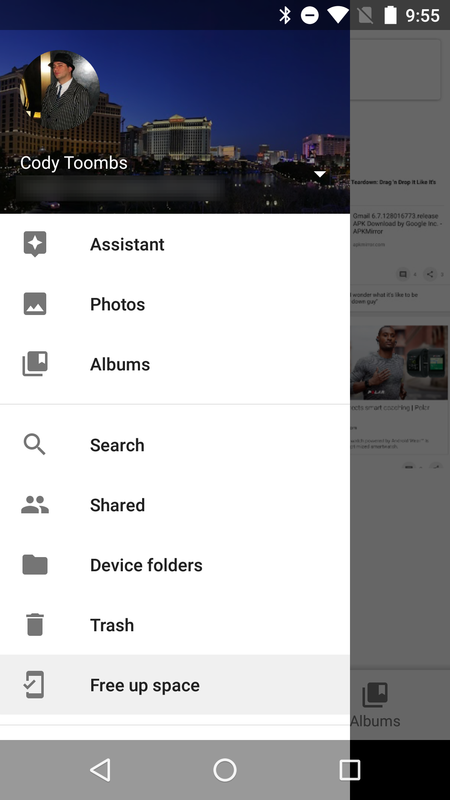 It looks like Google Photos will soon offer its own stabilization feature. It doesn't appear to be live yet, and there's not much to look at besides the couple of strings shown below, but the words "stabilize video" leave little room for misinterpretation. The only minor question about this, besides how it will be integrated into the interface, is whether or not the stabilization processing will occur on Google's servers or locally on a phone. The processing power required for this sort of operation isn't particularly overwhelming, but if somebody tries to stabilize a fairly long video on the slower processor of a budget device with a small battery, it could mean they'll need to seek out a charger earlier than normal. to everybody that sent in tips.